You are a one man army and sole surviving Commando against enemy attack and now you need to use all your specialized skills to survive and give your enemy payback by killing their soldiers. Fire bullets as much as you can to kill your enemy soldiers who are well trained commandos. 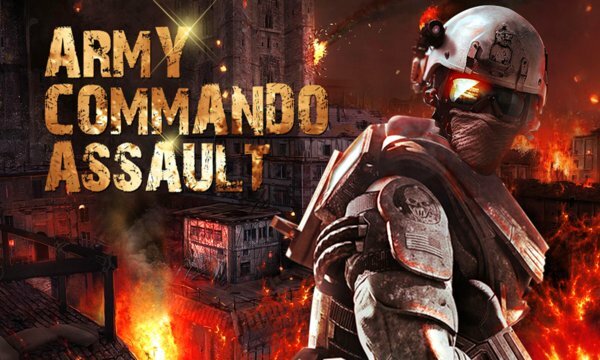 You will love this commando assault game because you are going to get some really advanced weapons, different guns and explosives to use in missions and they are really deadly weapons. Battle your way into the heart of enemy territory! Run through the battlefield dodging mines and leaping barriers as you move to the next cover point to avoid enemy fire. Emerge from destructible cover points to engage waves of enemies! You must be on frontline to prove you are a best commando of this war. You can start as a soldier who is defending his base from the enemy and fight to become the dominant military presence in the world as you march your way to victory in War and whole world will see you. This is 3rd person shooter game with great quality graphics and controls with best object physics you make it your best battle from any other commando game. 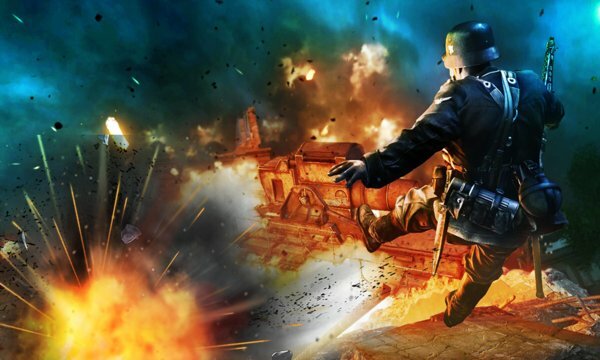 There are a lot of deadly mission in which you need to run, jump , fire , blast , destroy tanks ,kill enemy commandos and you will get a lot of enemy waves which will increase your difficulties. ★Win battle by killing all enemy commandos. ★Use different guns and bombs like machine gun, shot gun , sniper gun , hand grenade , missiles and a lot more to destroy enemy . ★Complete you mission in various parts of the world and increase your tactical strength and empire defense in warfare. ★Save your health while you are fighting against you enemy in this was as only your health can save you in this war saga. ★Become a master commando choose your own flag, crush your enemies, protect your brothers and sisters. ★Destroy advanced tanks, war ships, fighter jets etc. in the field of battle. Army Commando Assault is a free game to play but you may need to pay for some special features.